17 | March | 2019 | Hands Off Venezuela! plenglish (2019-03-17). Chavez Remains Inspiration for Revolutionaries, Maduro Says. plenglish.com Caracas, Mar 15 (Prensa Latina) Venezuelan President Nicolas Maduro recalled the leader of the Bolivarian Revolution, Hugo Chavez, as a latent inspiration for all revolutionaries. plenglish (2019-03-17). Over 500 Arrests due to Looting in Zulia, Venezuela, after Sabotage. plenglish.com Caracas, Mar 15 (Prensa Latina) Authorities in the Venezuelan state of Zulia have arrested more than 500 people, including Colombian paramilitaries, who were accused of looting after the sabotage on the power system. plenglish (2019-03-17). Venezuelan Justice Opens New Investigation Against Guaido. plenglish.com Caracas, Mar 12 (Prensa Latina) The Venezuelan Public Prosecutor's Office opened Tuesday an investigation against the opposition MP Juan Guaido for his alleged complicity and participation in the continued sabotage of the national electricity system, reported Attorney General Tarek William Saab. plenglish (2019-03-17). Venezuela's FM Rejects Pompeo's Statements as Interventionist. plenglish.com Caracas, Mar 15 (Prensa Latina) Venezuela's Foreign Minister Jorge Arreaza has dismissed as interventionist Mike Pompeo's statements issued by the White House on its official Twitter account. plenglish (2019-03-17). Venezuelan Armed Force Starts Ana Karina Rote Military Drills. 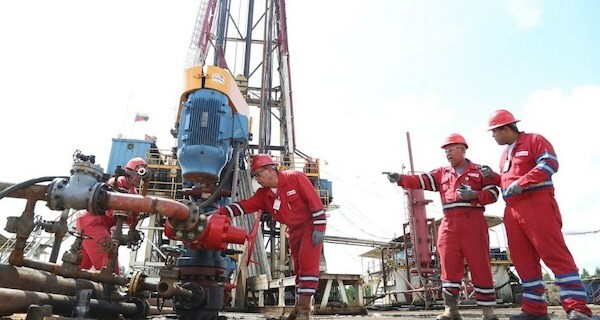 plenglish.com Caracas, Mar 16 (Prensa Latina) The Bolivarian National Armed Force (FANB) on Saturday began in a civic-military union the Ana Karina Rote drills to protect the energy system and water supplies in Venezuela. plenglish (2019-03-17). Venezuela's Working on Creating Its Own Tech Platform. plenglish.com Caracas, (Prensa Latina) Venezuelan economist Jose Rodriguez warned Wednesday that cyber sabotage to the National Electric System (SEN) could be applied to payment platforms, whose operations are supported in US headquarters' offices. plenglish (2019-03-17). Venezuela's Recovery of Electrical Grid Advances after Sabotage. plenglish.com Caracas, Mar 11 (Prensa Latina) Venezuela's recovery of electrical grid gradually advances Monday with redoubled efforts to prioritize services such as medical care and water distribution in vulnerable areas. plenglish (2019-03-17). Three Venezuelan Prosecutors Appointed to Probe Electrical Sabotage. 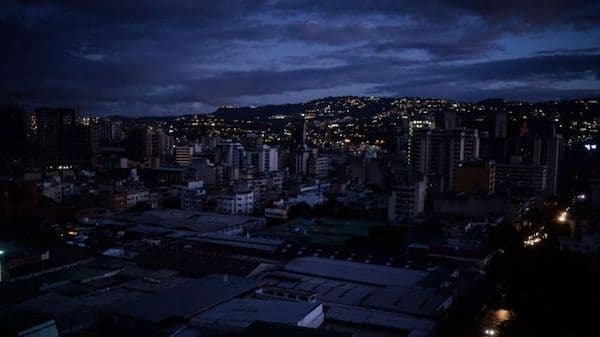 plenglish.com Caracas, Mar 15 (Prensa Latina) The Venezuelan Public Ministry has appointed three national prosecutors to investigate the sabotage perpetrated to the country"s electric power system in which 18 states were left without electricity on March 7, local media reported on Tuesday. plenglish (2019-03-17). Civic-Military Union, Targets of Aggression against Venezuela. 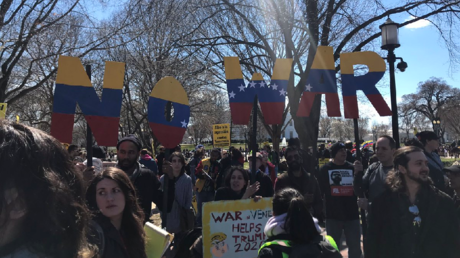 plenglish.com By Wiliam Urquijo Pascual | Caracas, Mar 11 (Prensa Latina) All the letters included in the punch of the aggressions against Venezuela, instigated by the United States in complicity with the opposition, have among their goals to undermine military unity and loyalty. plenglish (2019-03-17). Venezuela Appreciates Bolivian President's Support. plenglish.com Vienna, Mar 14 (Prensa Latina) Foreign Minister Jorge Arreaza thanked Bolivia"s President Evo Morales Thursday for his support to the Venezuelan people sovereignty after repeated attacks by the United States against the country"s institutions. plenglish (2019-03-17). Venezuelan Foreign Minister to Visit Serbia. plenglish.com Belgrade, Mar 15 ( Prensa Latina) Venezuelan Foreign Minister Jorge Arreaza will arrive in Belgrade Friday for a two-day visit to Serbia. According to official sources, the Foreign Minister will complete a broad agenda of talks, interviews and meetings starting Saturday with Serbia"s First Deputy Prime Minister and Foreign Minister Ivica Dacic. plenglish (2019-03-17). Russia for Trial on Foreign Perpetrators of Venezuela's Sabotage. 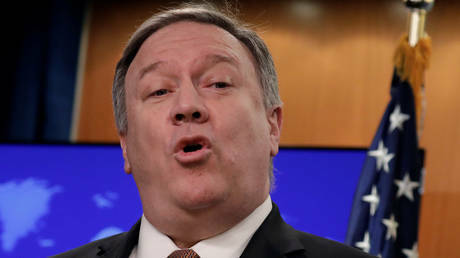 plenglish.com Moscow, Mar 14 (Prensa Latina) Russia on Friday demanded to try those responsible for the sabotage against Venezuela"s electric power system, offered cooperation to investigate these events and described the methods used against the South American country as savage. plenglish (2019-03-17). Haitian Organizations Condemn Venezuelan Electric Sabotage. plenglish.com Port-au-Prince, March 14 (Prensa Latina) A score of political, trade union and social organizations in Haiti condemned Thursday the sabotage against the Venezuelan power system, which caused failures in the provision of the service throughout the national territory. Cira Pascual Marquina — Venezuelanalysis (2019-03-16). Solidarity Isn't a Slogan, It's a Process: A Conversation with Vijay Prashad. venezuelanalysis.com In this exclusive interview, a prominent Indian intellectual examines how imperialism operates in our time and proposes specific forms of solidarity with Venezuela. Posted on March 17, 2019 by J. United Nations, Mar 14 (Prensa Latina) Objections by Colombian President Ivan Duque to the statute law of the Special Jurisdiction for Peace (JEP) are causing concern at UN on Thursday, due to the uncertainty surrounding that legislation. Moscow, March 14 (Prensa Latina) Russian Foreign Minister Serguei Lavrov reiterated on Thursday Moscow"s position on the importance of finding peaceful political solutions to disagreements in that country, according to a statement by the Ministry of Foreign Affairs. Vienna, Mar 14 (Prensa Latina) Foreign Minister Jorge Arreaza thanked Bolivia"s President Evo Morales Thursday for his support to the Venezuelan people sovereignty after repeated attacks by the United States against the country"s institutions. Port-au-Prince, March 14 (Prensa Latina) A score of political, trade union and social organizations in Haiti condemned Thursday the sabotage against the Venezuelan power system, which caused failures in the provision of the service throughout the national territory.